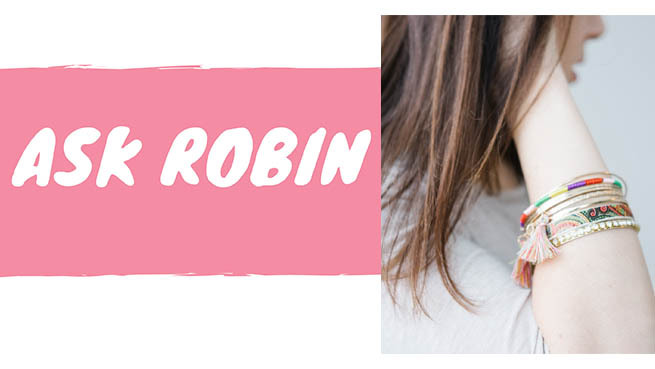 Dear Robin: I just want to find out more about unwanted body hair. What can I do to slow it down? Is there something I can do to completely stop it from coming back? I’m too embarrassed to go to a salon to get it removed with a laser. So I use a tweezer. I have had it since I was 15 and I am 24 now and have noticed that it just keeps on getting worse. I don’t even like to go to parties or even want to marry my fiancé for fear of someone seeing it or having photographs taken. Dear Yvonne: Body hair is sort of like having acne. It makes us feel so self-conscious that we actually suffer from social anxiety, right? Just know it’s not your fault but it’s a problem that you can find a solution to. Many women with PCOS suffer from unwanted facial and body hair, so you are in no way alone with this. Firstly, you have to reduce inflammation, and this usually means insulin. Because high levels of insulin are causing an inflammatory hormone response. Have you had your fasting insulin and fasting glucose tested recently? With unwanted hair like this you’re probably converting your androgens down the DHT, or 5-alpha reductase pathway, which is the more inflammatory pathway. You can alter this naturally by changing the way you eat, move, and by replacing missing nutrients. Use the 5-Element System to block this pathway and reduce inflammation. It’s a comprehensive approach that addresses the underlying causes of PCOS symptoms. Use spearmint tea – it really can help but will take some time – just be patient. Drink 3 teabags daily – you can actually put all 3 teabags in your teacup and just leave them in so you get a really strong tea. You can pour over ice if you’d like a cooler drink. If you don’t have any other symptoms of PCOS, try the mineral zinc. It’s amazing for blocking this pathway – it’s in the Insulite nutrients – and you can also find it here if you want to try it by itself. Try 3 capsules daily of Zinc Supreme. Keep me posted on your progress. Be consistent no matter what you try. It can take months and sometimes up to a year to notice some really good results.